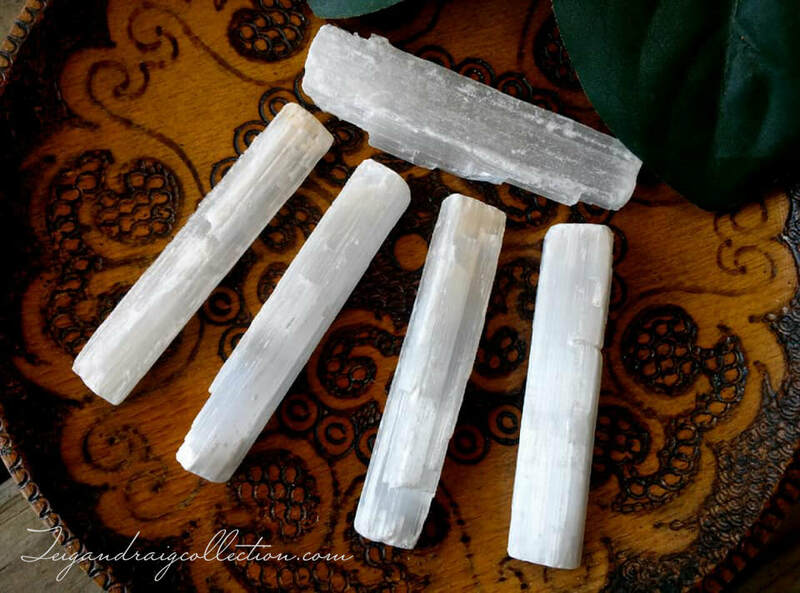 Selenite, named after the Greek Goddess Selene, the Goddess of the moon, is a wonderful healing crystal. Selenite is a form of gypsum mined mostly from the United States, Mexico, Poland, Russia, Greece, Japan, Australia, Argentina and Brazil. Selenite is associated with the Crown Chakra. 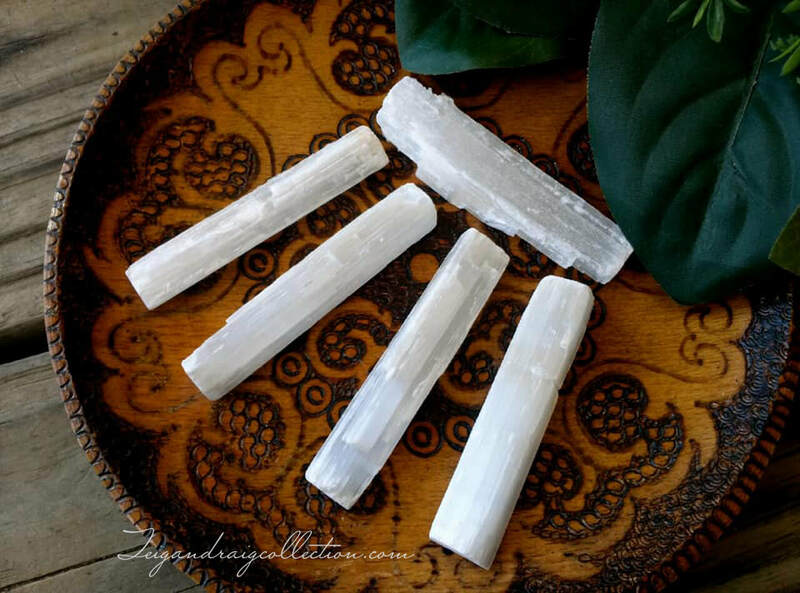 Selenite helps to clear, open, and activate the Crown Chakra encouraging a deeper Divine connection, clearing confusion, and helping to quiet the mind. Selenite never needs charging and can be used to charge other stones and crystals when place directly on the Selenite. 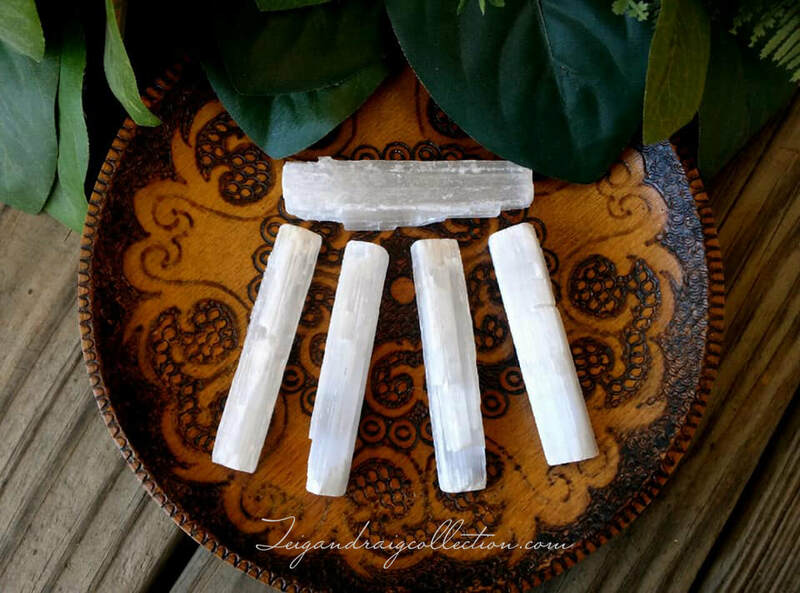 The Selenite sticks offered here are 3 inches long making them perfect for grid work and meditation. Tuck one in a small pouch and carry it with you in your purse or bag. *Note: Selenite is a soft crystal and care should be taken to never get Selenite wet. Selenite will dissolve in water.